If you have an iPhone, you probably use it to do a lot of your daily tasks for you – from finding directions to calculating tips. But as useful as smartphones are for finding information, they aren’t nearly as helpful for physical tasks. 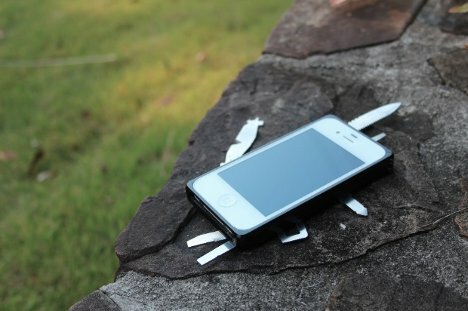 The TaskLab remedies that in style by putting a whole toolbox worth of stuff into a relatively thin iPhone case. The TaskLab includes 16 different tools to cover just about any small repair scenario you may run into. There’s a knife, a saw blade, several screwdrivers, plenty of Allen wrenches, pliers, wire cutters, wire stripper, and a ruler – and a kickstand for good measure. The tools are all low-profile and lightweight to fit inside the aluminum case. They are secured in the case by spring assemblies, and when extended they automatically lock in the extended position. 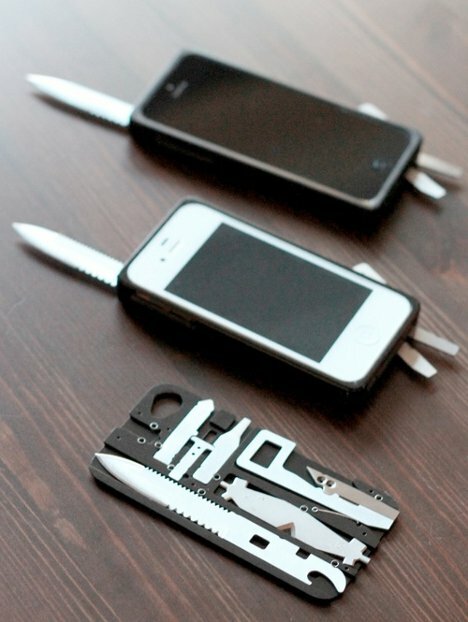 These tools obviously aren’t meant for heavy-duty long-term use, but they would come in very handy on road trips or hikes, or any time that you’re away from home and find yourself in need of a screwdriver or knife or other small tool. 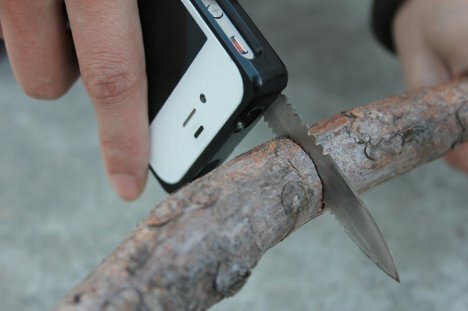 The knife is removable so you can still take the case with you when you fly, and the bezeled front protects your phone’s screen even when you’re using your phone as a tool.